This morning I had a lesson on how important it is to find a time AND place to be quiet. I set aside some time to be quiet and listen- my wife and I were the only ones home and she was busy, so I grabbed my headphones and headed out to my hammock. Yup, it’s a pretty nice spot. Except for the fact that we live on a very busy road right under a major airport’s flight path. This morning there were more cars, trucks and airplanes than I’ve ever heard before (at least it seemed that way). 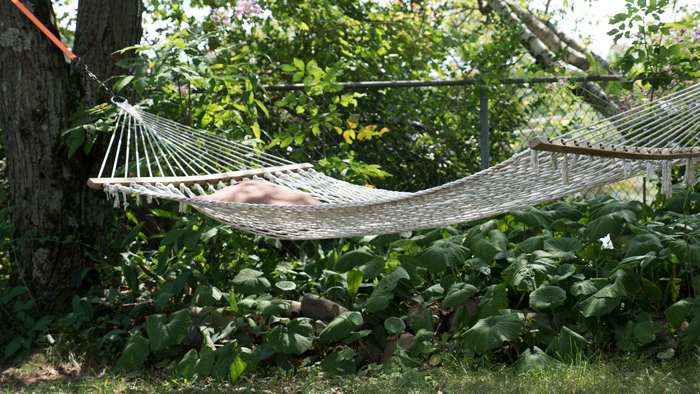 I had the time to be quiet, but my hammock was certainly not the place to be quiet. 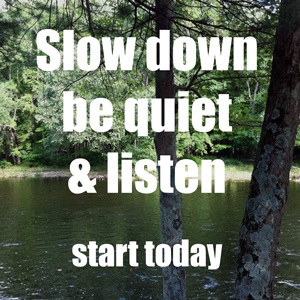 I hope you will be able to find a time and place to be quiet this weekend. Please let me know how you did.